The problem of stressed loans and NPAs in the banking sector has aggravated, so the banks are now more cautious about disbursals, and verify thoroughly whether borrowers can pay back the loan. Banks are going through the loan applications more cautiously these days. With a rise in the property prices and rise in people’s aspiration to have their own dream home, the demand for home loans is also rising. 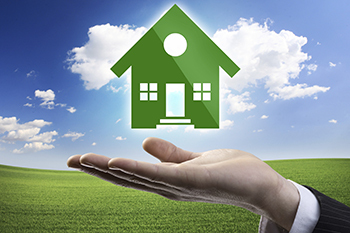 As per the experts in real estate sector, home loans contribute nearly 9% to India’s gross domestic product (GDP). Credit score: Banks often look at credit score of loan applicants, since the score speaks about applicant’s repayment habits. Usually, credit score above 750 is considered as a good score. Home loan seekers should maintain a good credit score before applying for a loan. Age and eligibility criteria: Home loan applicants should thoroughly go through the eligibility criteria of banks before applying for loans, since different banks have variety of eligibility criteria. If a bank does not find a loan applicant suitable enough for availing a loan, then it can reject the application. Stable income source: If an applicant is working in the private sector, then the banks usually prefer those applicants who have been working in the same organisation for past two to three years. The applicants working in chemical factories which are considered as life threatening would reduce the chances of approval of loans. Seeking loan for an old building: Some of the banks may not approve loans if they find that the related property is aged considerably. For such loan applications, applicant may have to pay larger amount as the down payment, otherwise the loan application may get rejected.